Tender Jackfruit/palamusu in Tamil and Kathal in Hindi,is considered as vegetarian meat because of its meat like texture and flavor. 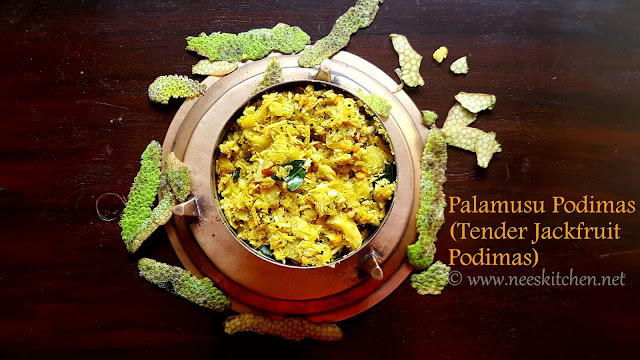 Palamusu Podimas | Tender Jackfruit Podimas is a simple yet exotic curry recipe and is an vegetarian’s delight. Preparation of Palamusu Podimas | Tender Jackfruit Podimas with coconut oil enhances the taste & aroma of the recipe. 1. 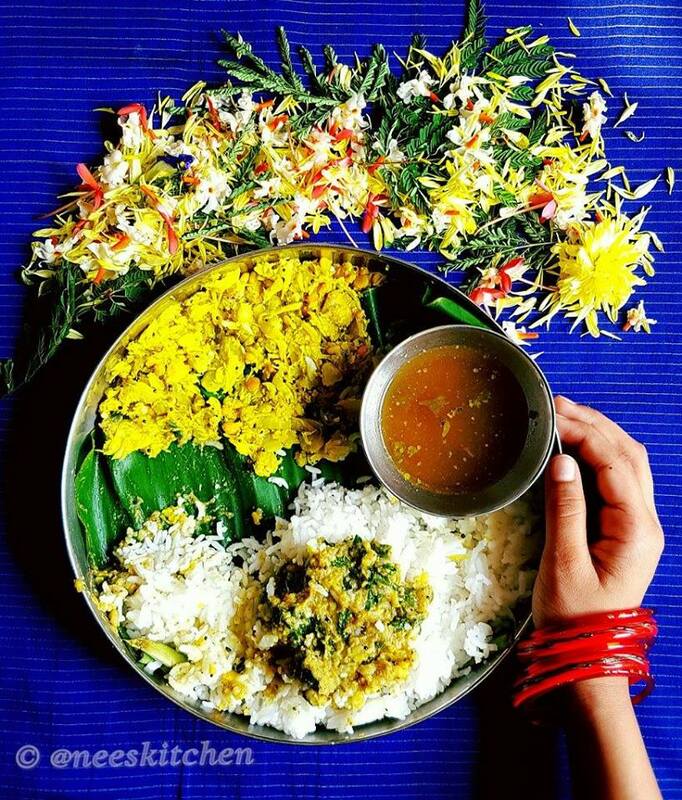 To begin making the ‘Palamusu Podimas’, apply generous amount of oil on your hands, knife and peeler. 2. Spread a disposable plastic sheet and place the tender jackfruit on it. 3. Remove the stem of the tender jackfruit. It will generate a milk like sticky substance. Remove the milky substance using a tissue paper. Refer Video. 4. Peel the skin of the jackfruit and chop them into 2" pieces. 5. Steam the Tender Jackfruit pieces in a pressure cooker and when the steam is high switch off the gas and place the cooker whistle. This step would avoid overcooking of tender jackfruit pieces. 6. Once the pressure is released, take out and strain the excess water. All the tender jackfruit pieces to cool down completely. 7. While the tender jackfruit is cooling down, work on the rest of the preparation. Finely chop green chili’s, ginger. 9. To begin making the tender jackfruit podimas, take a heavy bottom vessel and on medium flame add coconut oil. 10. Once the oil becomes hot, add mustard seeds and as they splutter add channa dhal & urad dhal and sauté for 1 minute. 11. At this stage, add green chili, ginger and curry leaves and sauté for 1 minute. 12. Add a generous amount of hing, turmeric and salt and sauté for 1 minute. 13. Add shredded tender jackfruit to this tempering and combine well. 14. Cook for 5 minutes and switch off the flame. 15. Add fresh grated coconut and combine well. 16. Squeeze juice of half lemon to this and close with a lid for 5 minutes. This helps the flavors to be infused in the Tender Jackfruit Podimas. 17. Tender jackfruit podimas is ready to be served.